With client retention highest in the industry, New York based WeGo Hospitality is a solid yet incredibly dynamic company. By listening to its clients and partners, Wego is able to offer a customized service second to none. Many of the online solutions WeGo offers may cost hoteliers as little as nothing, as some of these solutions are purely performance-based. It goes to demonstrate how confident WeGo is at its success in filling rooms, lighting up the NO VACANCY sign! 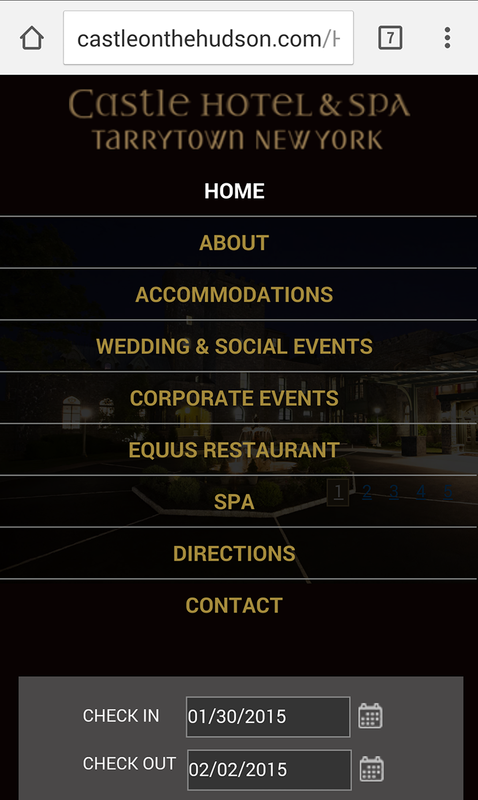 In business since 1999, WeGo Hospitality team of professionals has a combined experience of well over thirty five years in the hospitality, marketing and internet arenas. 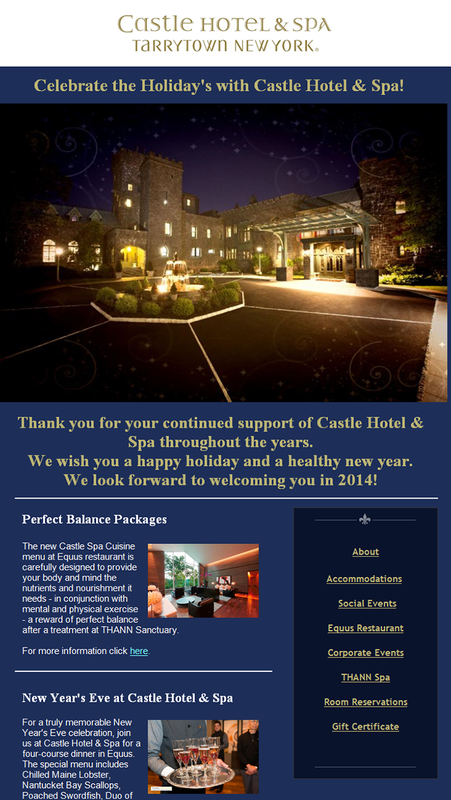 We proactively support our hotel partners, customers and property managers. Our team-based structure, with each business unit headed by Vice President or Senior Vice President – our clients are assured they are dealing directly with the owners. Aside of making coffee, ElementRestm our super-robust reservation engine, can do just about anything. User-friendly: feature-rich yet easy to use. No more confusion when navigating to what you need. Packages and promotions: any combination of promotions you can ever imagine! 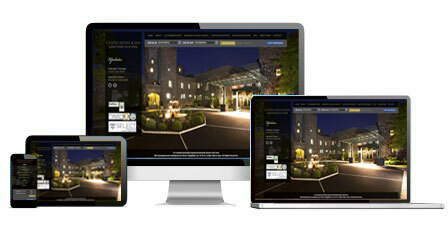 ElementRestm integrates organically with your hotel’s website. 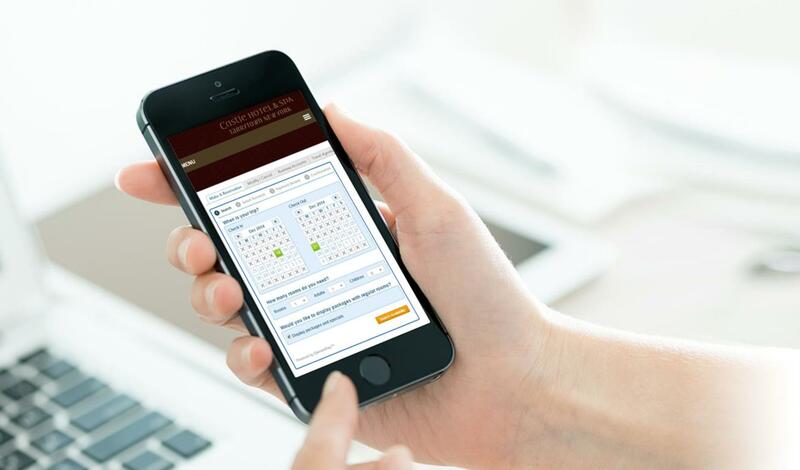 It provides your guests with a superior experience on their mobile devices; enabling direct booking for your hotel on the go. Wego’s ElementRestm reservations engine can be integrated directly into Facebook®, using our tried and true technology providing the same feature-rich, easy to use experience. 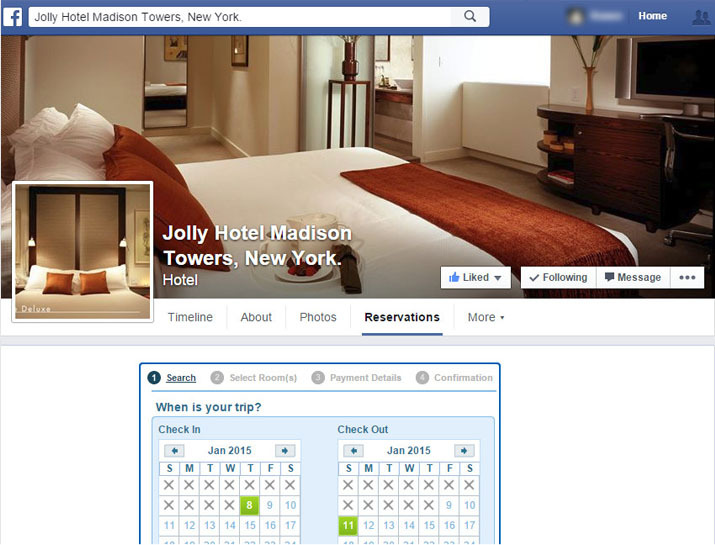 Boost your hotel's direct revenues by embedding ElementRestm into your Facebook® page, allowing guests to book without leaving Facebook®. To embed WeGo’s reservations engine to your Facebook® page click here. WeGo’s Property Management System, PMSConnectTM, is a Cloud-based system for small to mid-size properties. 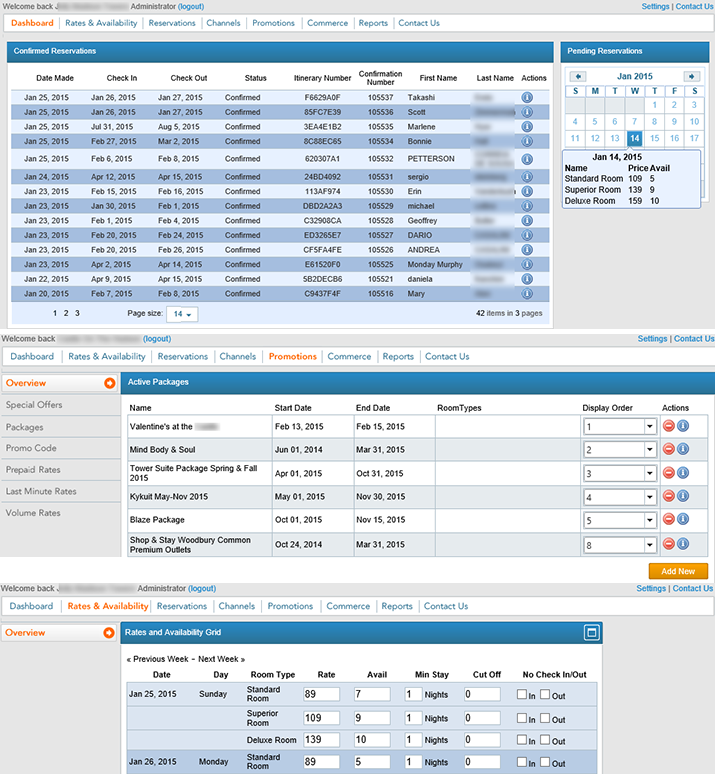 With features such as drag-and-drop reservation grid, one-click check-in, mobile-enable housekeeping/maintenance room status, and enough reports to make any GM and property owner satisfied, PMSConnectTM is an excellent choice for your property. Performance-based approach: we mean business. If we take it upon ourselves to promote a property, we put our money where our mouth is and pay for the Pay-Per-Click campaigns with Google®, Bings® and the likes out of our own pocket. Ourhighly effective Digital Marketing team will generate qualified traffic for your property’s website. In most cases we require the property to pay nothing upfront. We market and bring the prospects; we sell your rooms; we get paid. It’s that simple. Many promise, WeGo delivers. 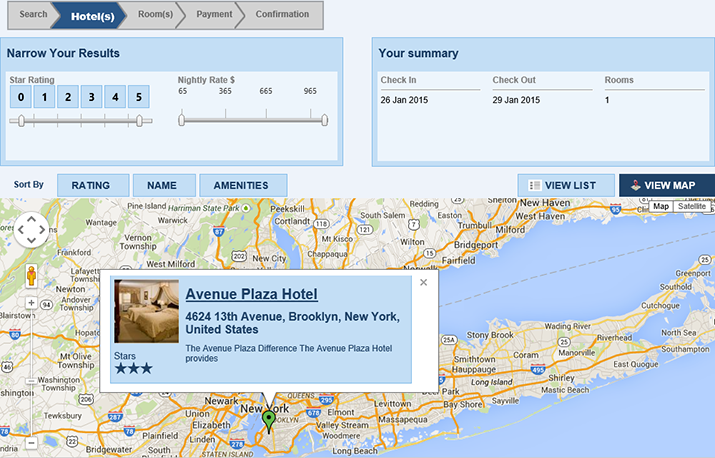 There are more than 200,000 hotels in the world – how do guests finds yours? We offer a refreshingly transparent approach to online success through Strategic Search Engine Optimization (SSEO) that produces quantifiable, measurable and dependable results for our clients world-wide. Stay connect with your guests immediately and long after they have checked out! Whether you want to send a survey, offer a discount for the next stay, or just say Thank You, WeGo Hospitality features a post-stay automatic email sent to guests who checked out. Wish your guests return to your property time and again? Not a problem - WeGo’s marketing team will help you reach your past guests with the right promotion, enticing them to book their next stay with you! Responsive Web Design is no longer a choice but a necessity. It means that your website is laid out correctly according to the device from which is it being viewed. Your property’s website will look attractive across multiple devices including mobile phones, tablets and laptops. Our design and development team plans, creates, and then develops, stunning responsive websites that increase qualified traffic resulting in more reservations. Mobile Design is a standard when it comes to WeGo developed websites. We will design your property’s so it is viewed with ease and looks attractive across multiple devices including mobile phones and tablets. This includes both the website itself as well as the reservation engine all resulting in more reservations! 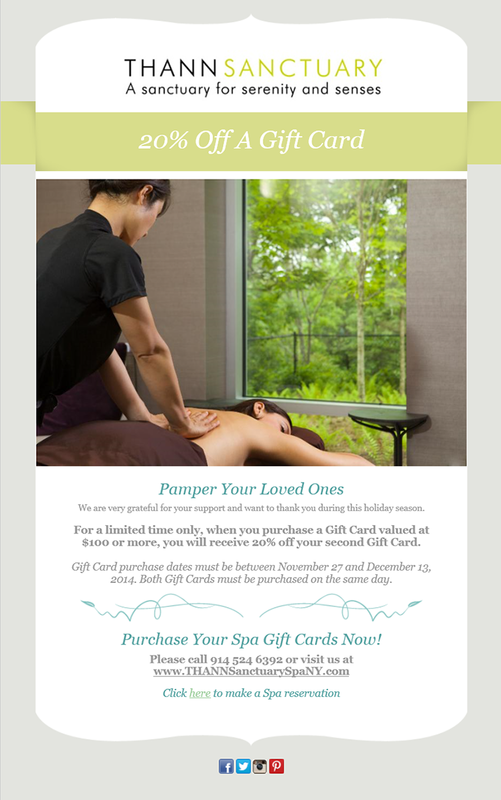 Whether you need to send out a promotion, advertise a special event or announce a blowout sale, WeGo’s design team will help you design an effective eBlast campaign that will reach your target audience and create the “WoW” effect. Our designed campaigned have proven to result in more reservations. To email us, please use the form on this page. © 2019 WeGo Hospitality, Inc. All Rights Reserved.